Thank you shoppers and wrappers and the entire club for raising the money that we were able to allocate to the project. Also, a huge thank you to WalMart for adding $25 to the amount each family had to spend. 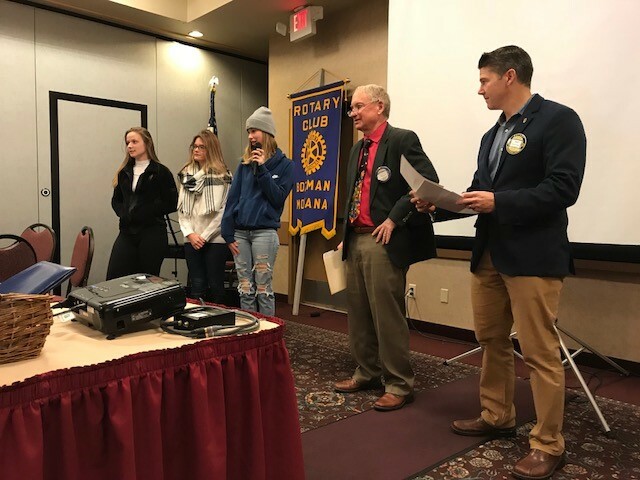 Hopefully those at the meeting had a chance to visit with the family representatives and were able to grasp just how much this project meant to them. Thank you all for great work and making Christmas special for these families. 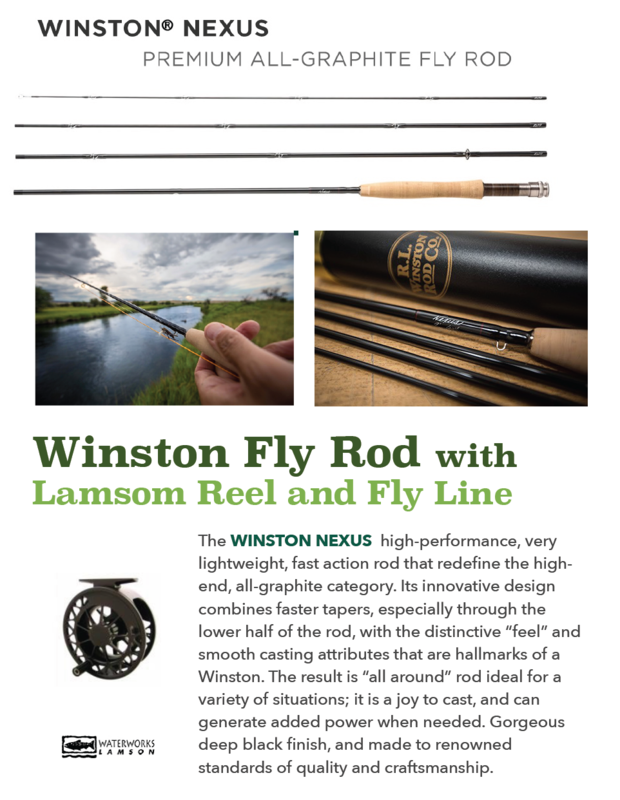 Check out this awesome auction item! 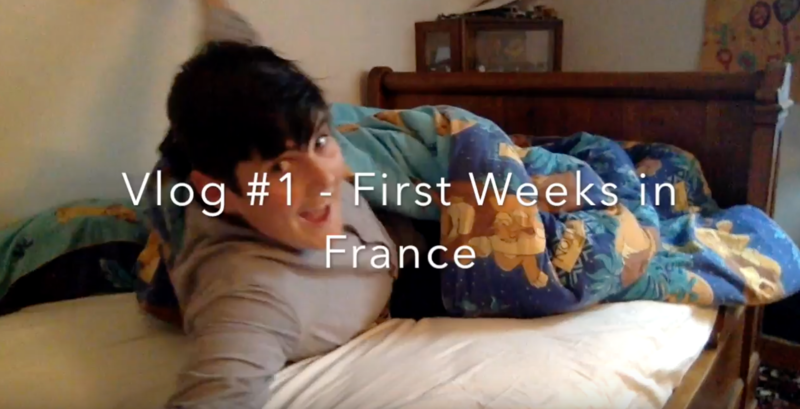 Here's your chance for the adventure of a lifetime! Come to the Holiday Inn September 18th for your chance! 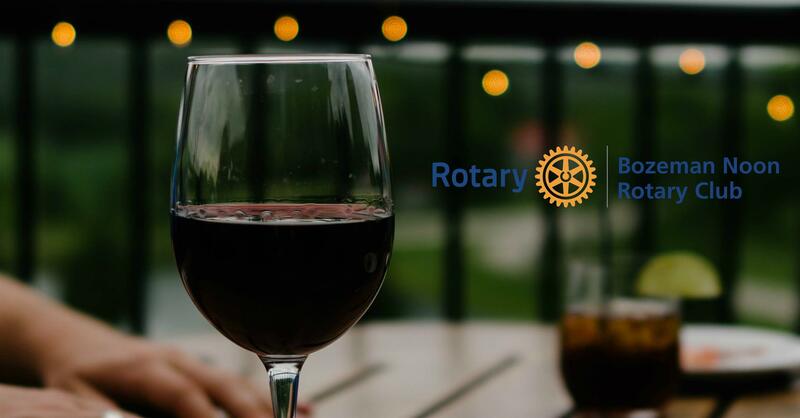 Bozeman Noon Rotary Wine Event! For ticket information please call Jeremy Turner at 406-600-6238. Our club looks forward to this meeting every year! These young people are the best and the brightest, passing extensive screening to be fortunate enough to enter this program. 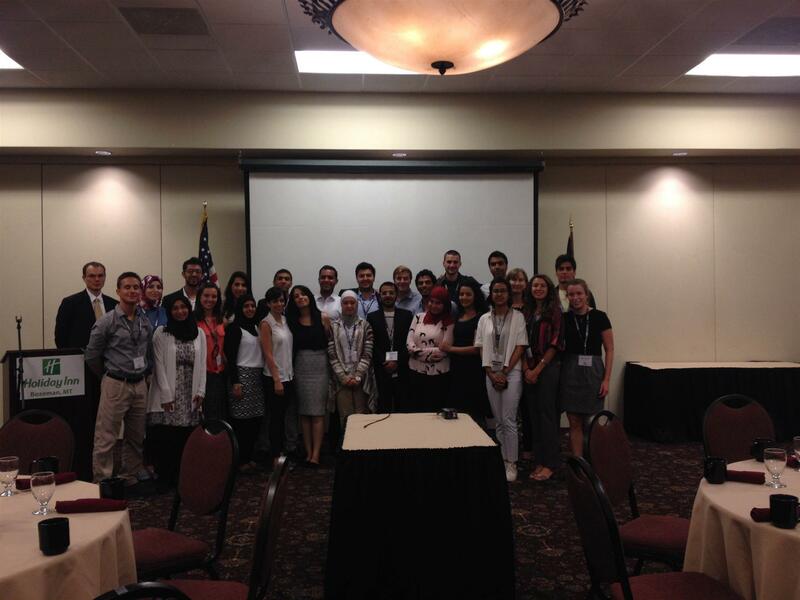 It is our pleasure to be able to share a meal together and get to know these future leaders from another part of the world! BNR again sowing seeds with God's Garden! 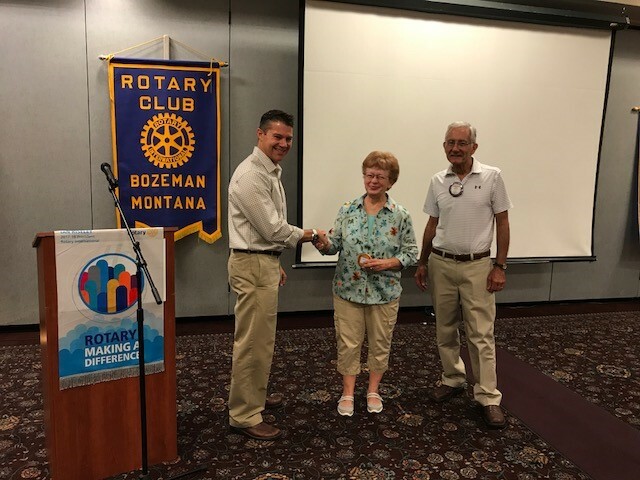 Last November the Bozeman Rotary Club pledged almost $5,000 for the purchase of a multi-tined tiller to to aid in increasing the production of God's Garden. In order for the tiller top operate efficiently, it quickly became apparent that a seeder was needed to be more precise in row spacing during planting. 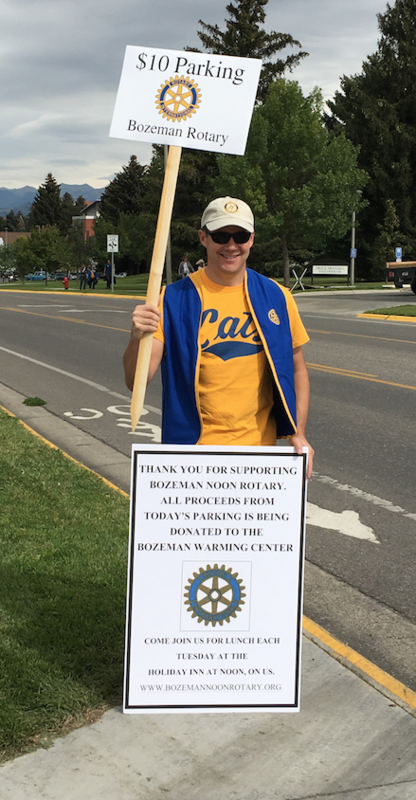 Bozeman Rotary to the rescue! Dale from God's Garden just received their new Cole planter. It will be fun to see these great new implements working together to increase food production for the Gallatin Valley Food Bank! 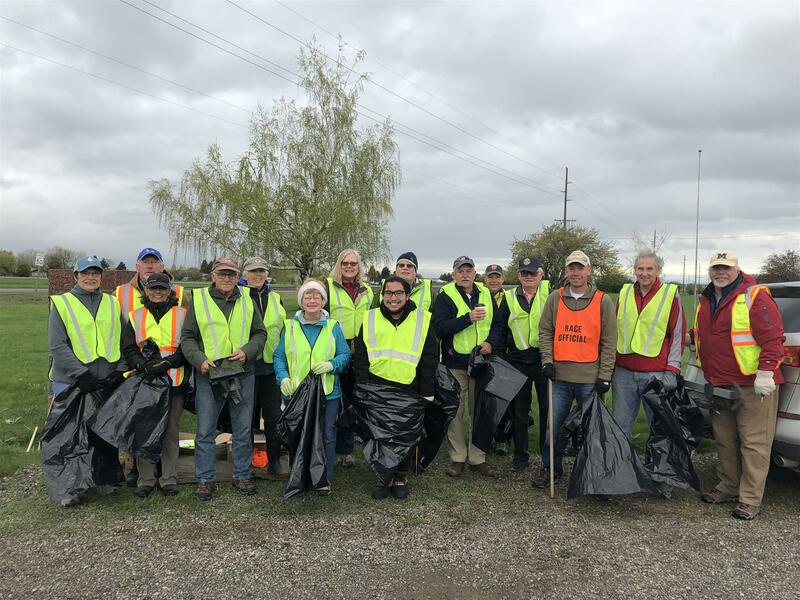 Bozeman Rotary visits God's Garden! 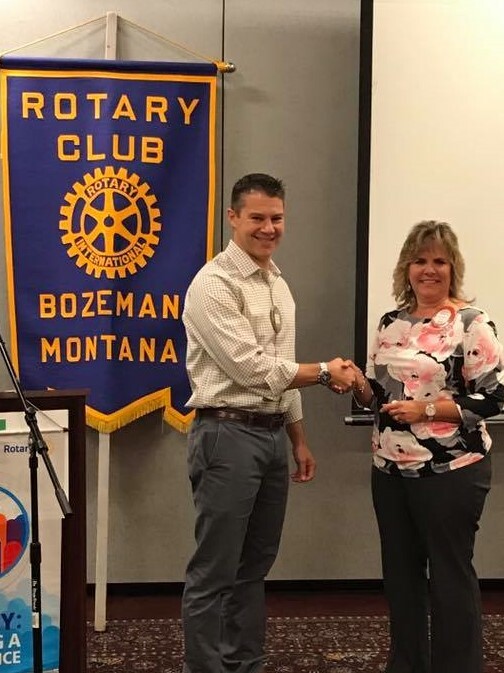 Last November the Bozeman Rotary Club pledged almost $5,000 for the purchase of a multi-tined tiller to to aid in increasing the production of God's Garden. 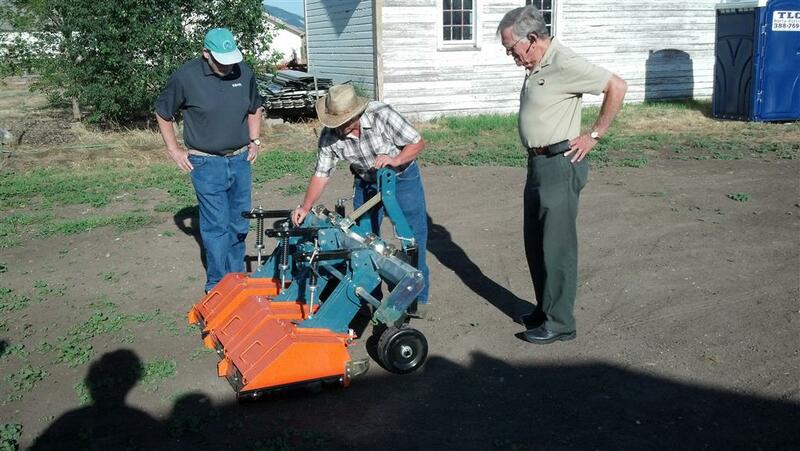 The tiller came in a couple months ago and members of the club wanted to see it and take a tour of the garden. Last year alone God's Garden produced almost 37,000 pounds of fresh produce for the food bank! 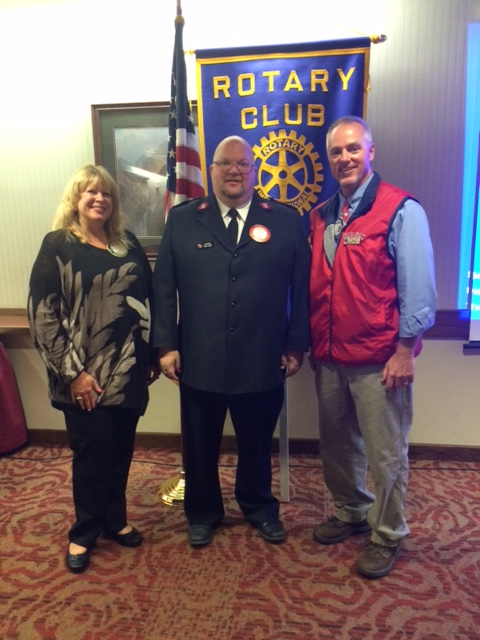 Bruce Thesenga, Rotarian of the Year! 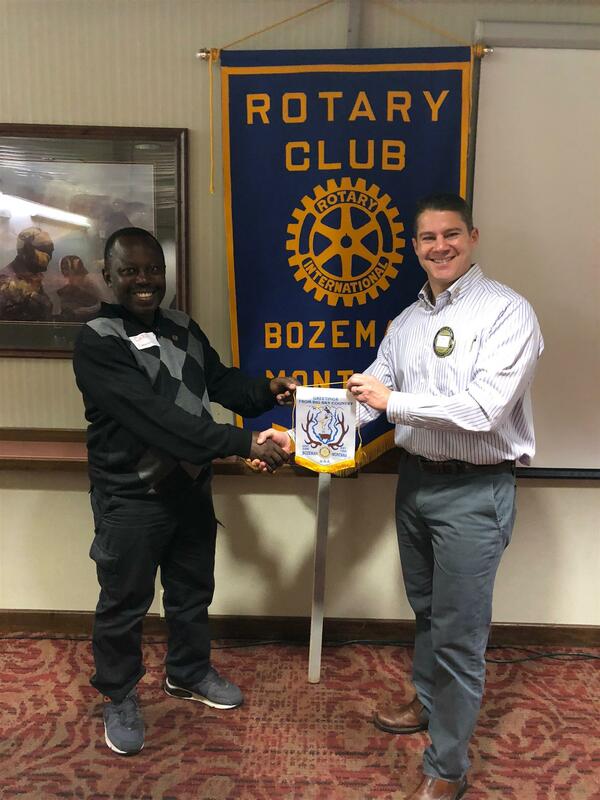 We are pleased to announce that Bruce Thesenga has been named Bozeman Noon Rotary Club's Rotarian of the year! The 2008 Rocky Mountain Zone Presidents Elect Training Seminar was held in Denver, CO, Thursday, Friday, Saturday and Sunday morning, February 28th to March 2nd, 2008. Your President Elect, Bill Price, and President Elect-Elect, Lance Lerner attended this year's meetings. 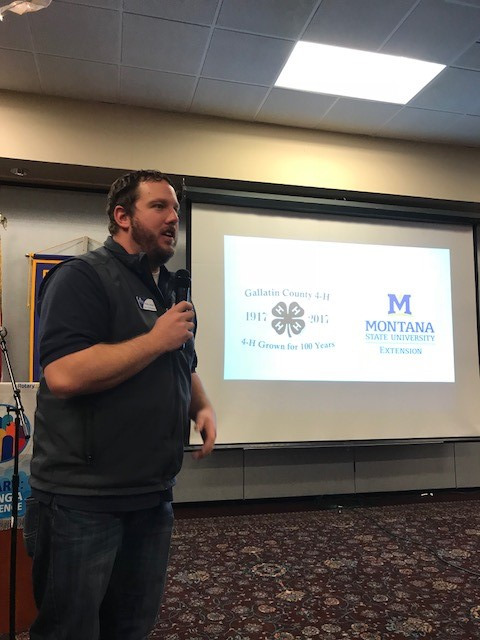 The first two days were our District 5390 Pre-PETS training, where our very own District Governor Elect, Mark Frisbee, held training meetings just for our district incoming president elects and presidents elect-elects. 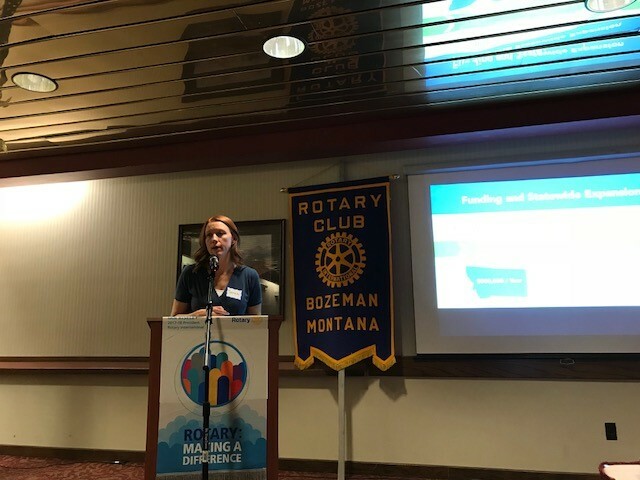 The state of Montana happens to be one Rotary District and consists of forty-one clubs, with the new Glendive Rotary in a start-up status. 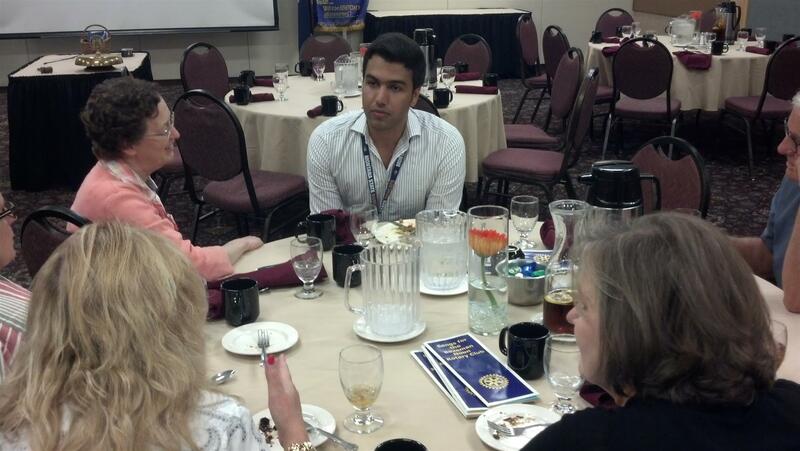 For starters, Rotary is having us re-organize our club structure. 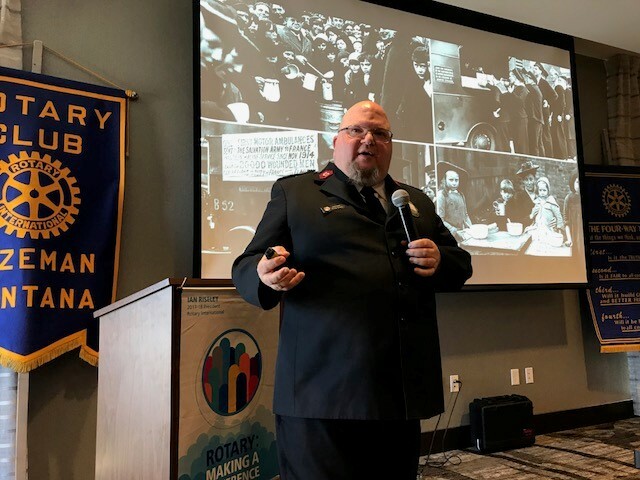 Our current primary areas of Rotary service, Club, Community, International, and Vocational will not go away. They will just all go under one heading for your Board of Directors to administrate. 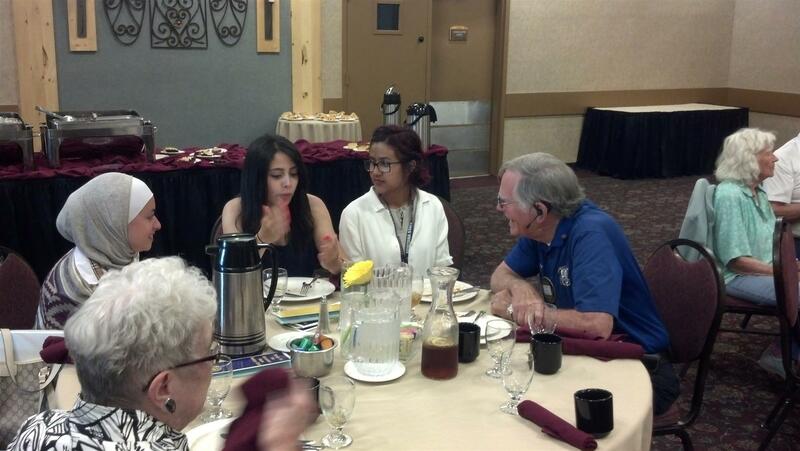 The Bozeman High School Interact Club, largest in the state, held its dinner auction at the Emerson on Saturday 6-10PM. They had a fine turnout considering the MSU basketball/symphony/BSF spell bee competition. 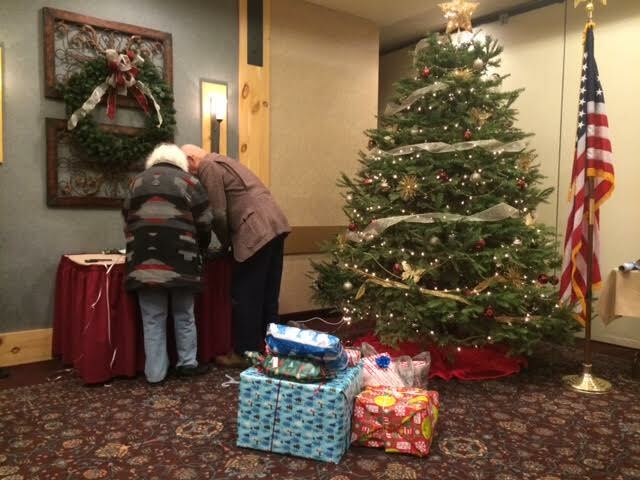 There were 150 paying guests and the auction and ticket sales raised about $18,000, to go toward cancer care blankets and supplies for cancer outpatients at Bozeman deaconess hospital. 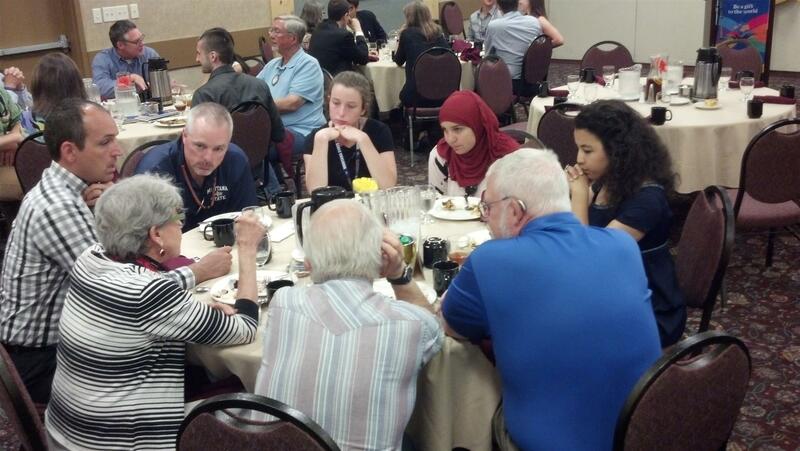 The MSU International Student Dinner will be held at Riverside Country Club on Tuesday April 1. 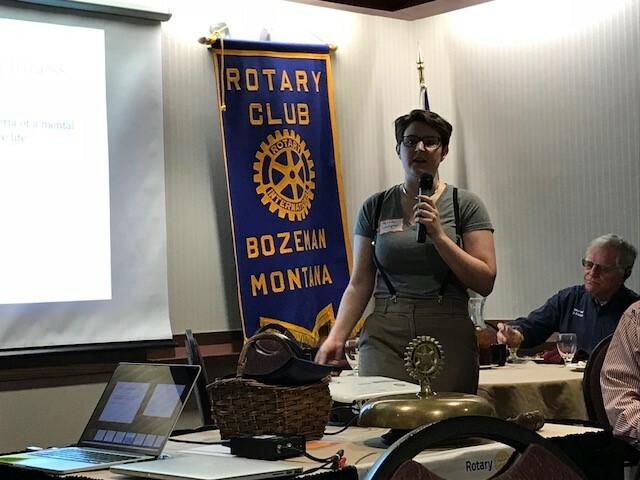 There are usually 10-20 most interesting international students at MSU which attend our Rotary functions who will join us at riverside, at 5:45PM for cocktails and at 6:45pm for dinner. The cost is $15 for each noon member, and spouses and significant others and guests will be charged $30.which will be billed. We also would like to invite the sunrise members and their spouses/others, $30 per person. All reservations will be billed. Anybody that reserves must show up or be billed anyway. 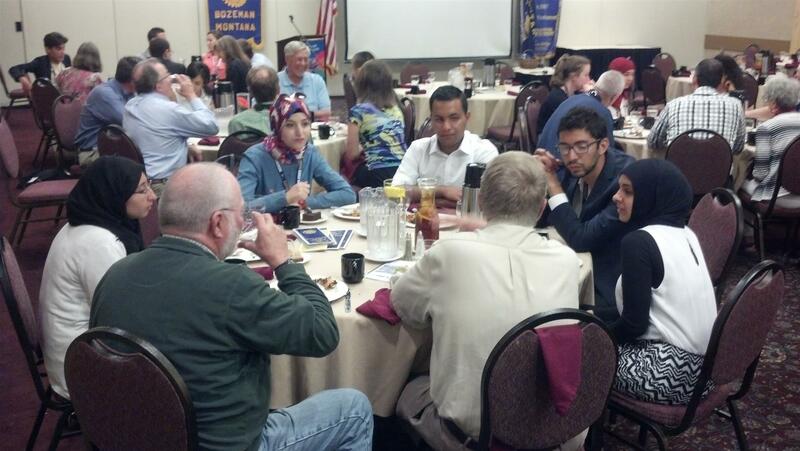 Presently we have 24 noon rotarians and spouses signed up. A sign up sheet will be passed around at the next luncheon. Last year this event was cancelled due to the lack of member participation. Don't let this happen again. 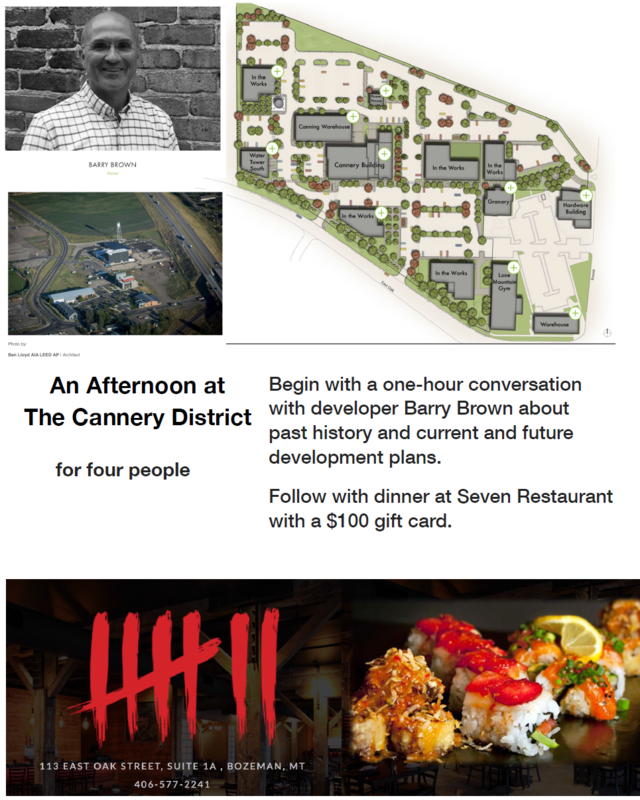 Mark you calendars and planned to attend this event. be enjoying Prime Rib dinner with all of the accompaniments. Please remind your fellow members, especially those that don't have access to the internet and/or who may not have attended meetings recently. 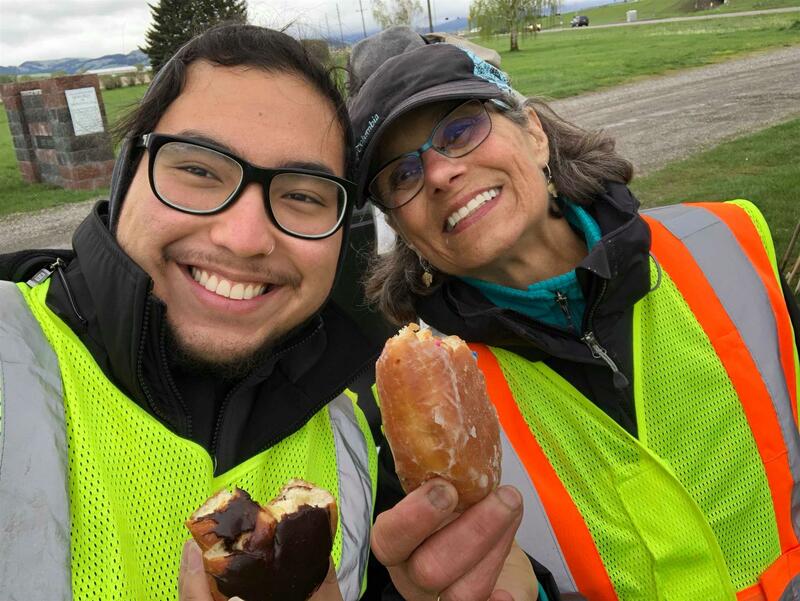 Justin is a senior at Bridger Alternative School who will be graduating mid-year in January. He is planning on joining either the Navy or Air Force to become a CISCO (CCNP Certified Network Professional. Justin has taken coursework in CISCO networking and has been helpful to both teachers and fellow students with computer related issues. the Pueblo Libre Rotary Club in Lima, Peru, May 2007. Kandy Rose received the Paul Harris Fellowship Award at the Noon Luncheon Tuesday November 27th. 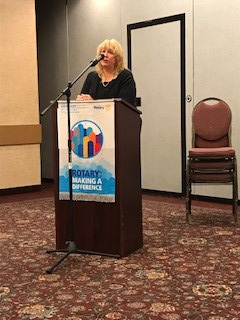 District Elect Mark Frisby spoke about her gift to Rotary International while President Todd Williamson and Pete Rose looked on. Asst. Principal Joe Morarity with a check for $3300. 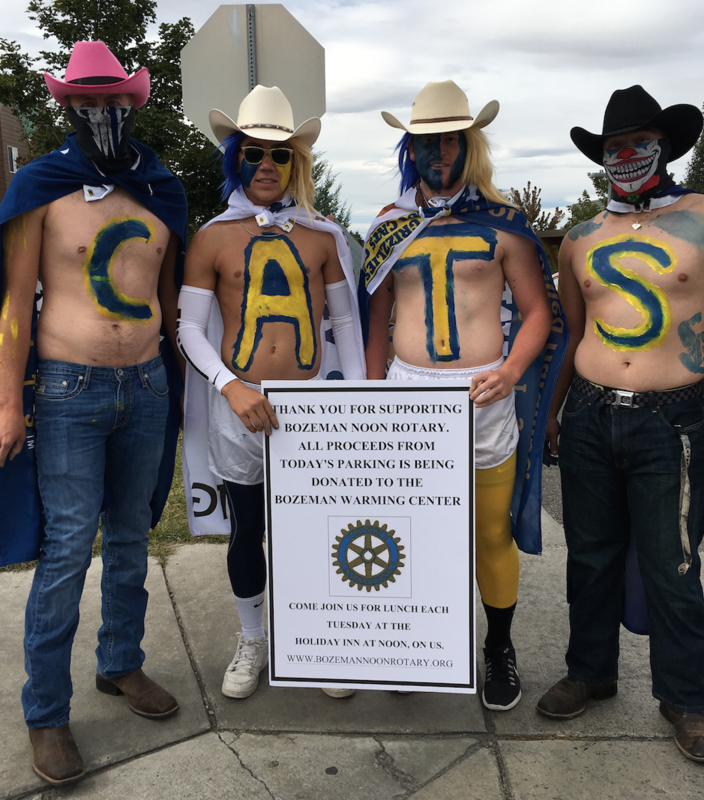 The funds were raised by the Bozeman Noon Rotary Club's project called the Rotary Express. 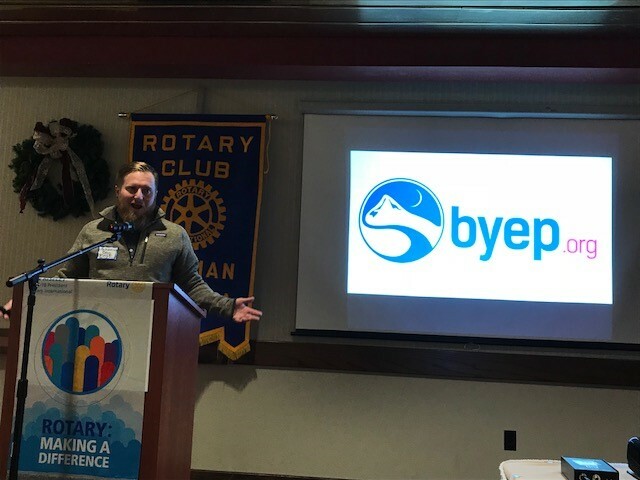 Project co-ordinator, Nick Davis, solicited donations and sold envelopes to individuals and business to raise the funds for this commuity fundraiser. The club's directory is going to press. 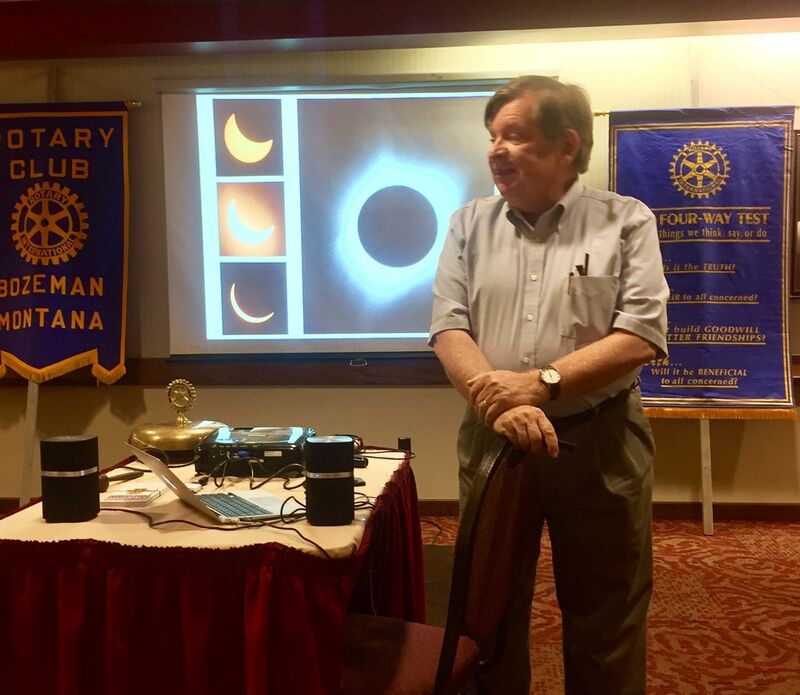 Andy Ferrin has spent untold hours gathering information on members, commitees, honorees and other things. This year's directory will have a new look. As in past years, the cover is the current year's international Rotary Logo. Some new content will be included as well. Few members understand the work involved to produce the directory each year. Andy Ferrin deserves a big thank you from the club. Visit the club's website frequently for new articles, events, speakers and reports on the club's activities. If you would like to reread an article that appeared in an e-bulletin or that was on the home page of the website, go to the "stories" tab for past articles. 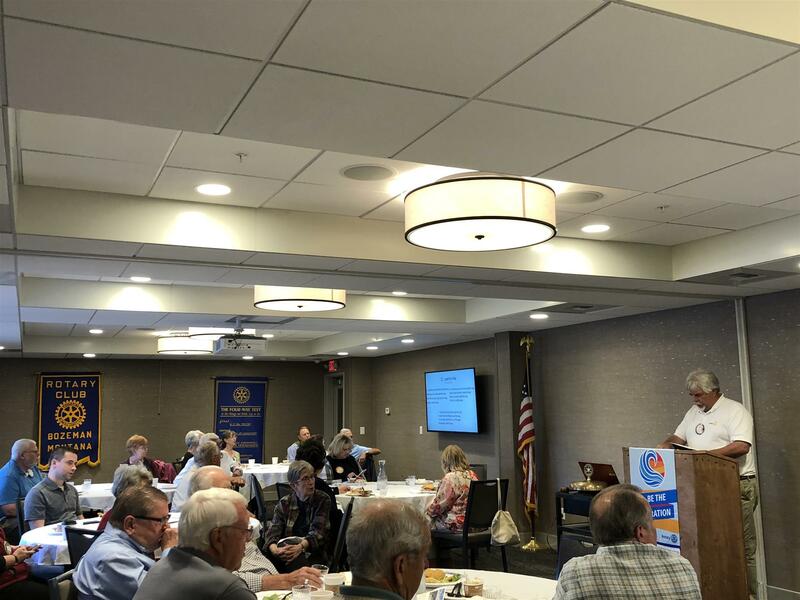 Members and friends of the Bozeman Noon Rotary club are encouraged to submit articles and pictures to the webmaster at vic3forks@gmail.com. If you visit another club, attend a club activitiy, take a vacation or attend a committee meeting, write a short article and submit it for publication. A picture always makes it more interesting. 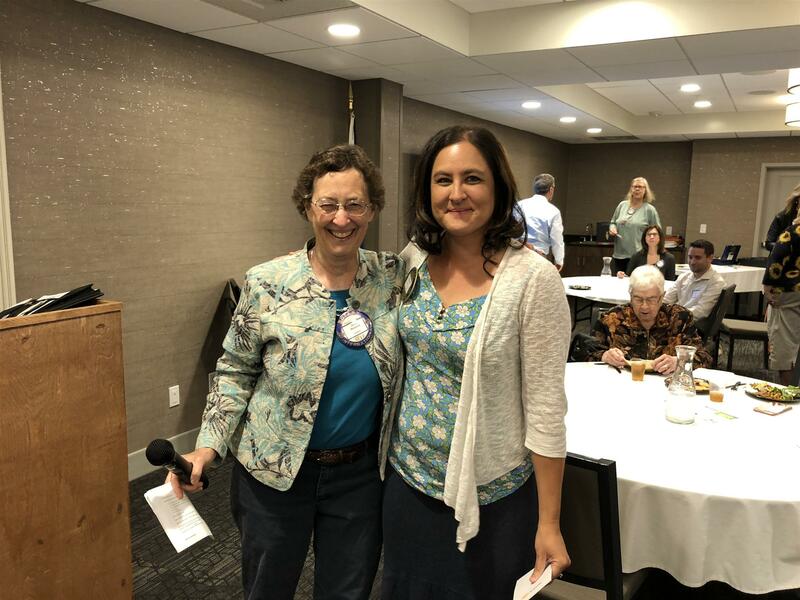 Jaynee Drange Groseth received her Paul Harris Fellowship placque at the Rotary Luncheon, October 9, 2007. With her for this presentation is her husband Rolf. At the regularly scheduled luncheon, Tuesday, October 9, Julie Jackson recieved her Paul Harris Placque. Accompaning her is her husband Rick. 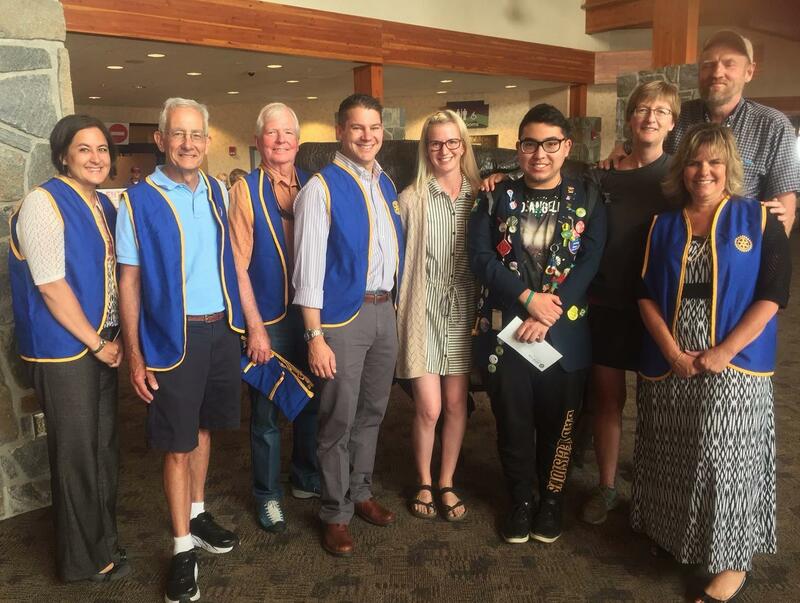 Rotary Express raises over $6200. 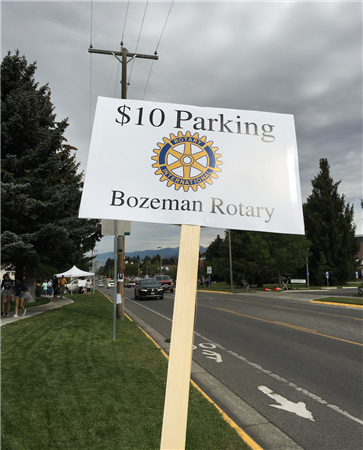 Proceeds from the event will go to Bozeman Middle Schools to help children who need school supplies, lunches or other things. 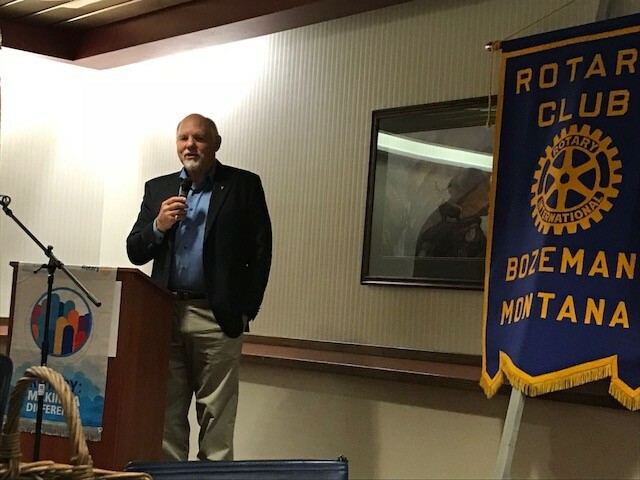 Hayden Ferguson has been the Sergeant-of-Arms for the Bozeman Noon Rotary Club for over 30 years. 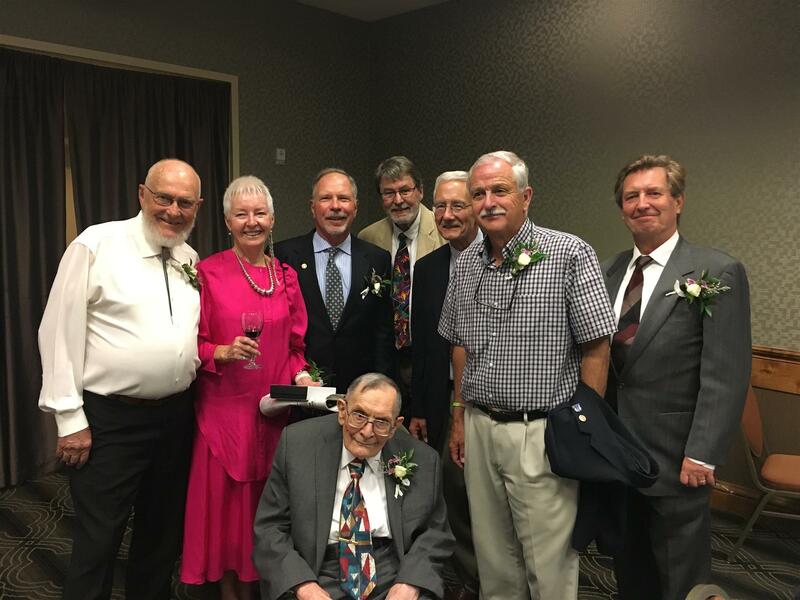 Harvey Larson presented his wife, Leville, with her 3rd Paul Harris Fellowship Award at the Club's Noon Luncheon, Tuesday September 25th. Harvey has received several Paul Harris Fellowship Awards. 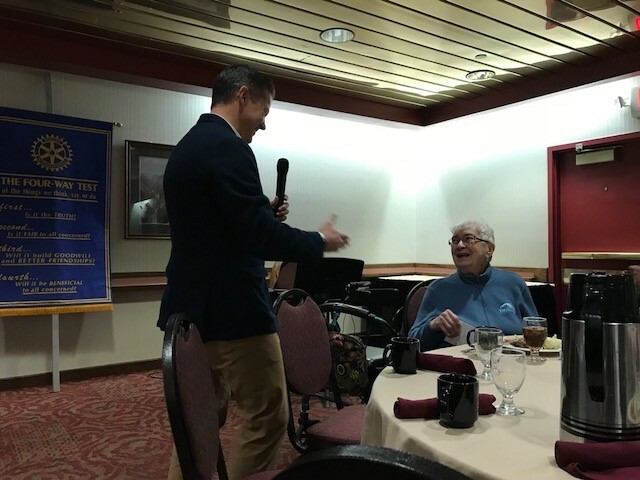 Both Harvey and Leville are Bequest Society Members of the Rotary Foundation of Rotary International. This year's Rotary Express will happen in just a couple of weeks. Don't forget to get your envelopes from Nick Davis. It's a good cause. Remember, it helps middle schools students in need. We need your business or personal sponsorship. Initially, we would like the club business members to participate by purchasing sponsorship listings at $200 for 4 publications. $50.00 goes back to the club. Then, Interact will pick up the ball for the rest of the solicitations. Again $50.00 goes to the Interact group. I should have a sample of the newspaper sponsorship space this week. 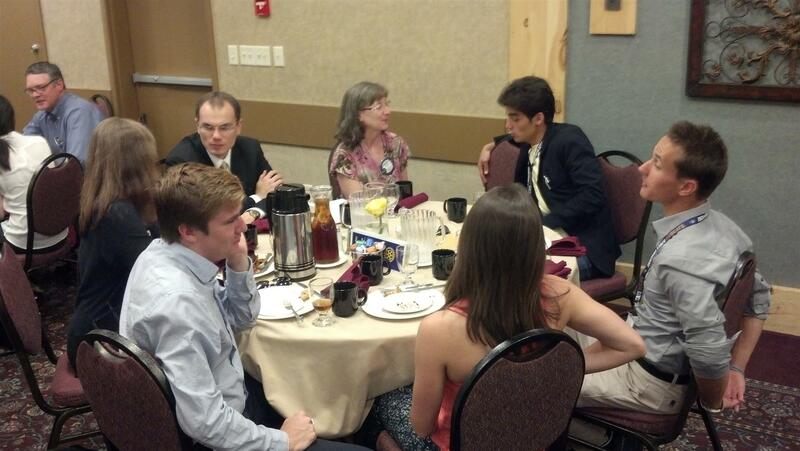 Brian Bosche Awarded Student of the Month September 25th at the Club's Tuesday Luncheon. As an outstanding student at BozemanHigh School, as identified by the faculty and administrators at the school, his award is well deserved. His academic accomplishment is impressive being the highest ranked student at BozemanHigh School. More impressive is the fact that he has accomplished his grade point while taking college level courses. 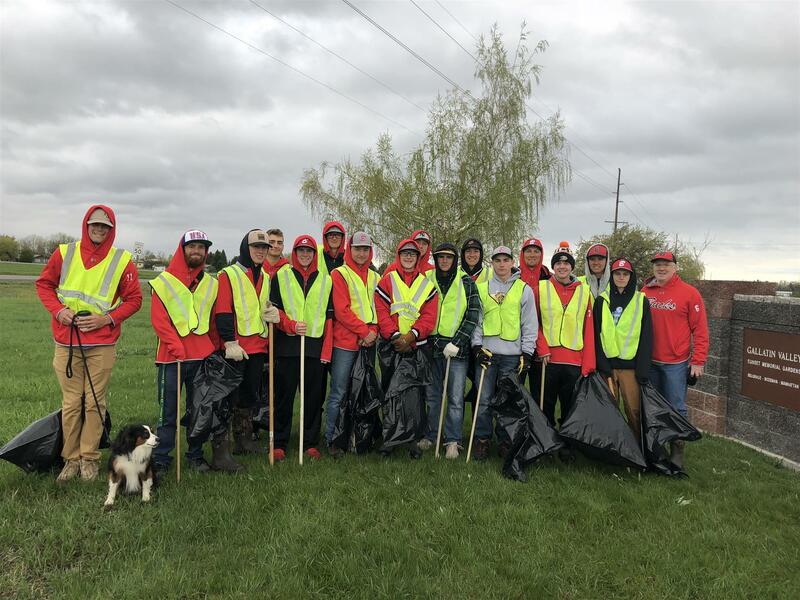 He has shown commitment to his community by organizing a nonprofit corporation that distributes tennis racquets so that others may enjoy a sport otherwise unavailable to them. He is active in sports and clubs. He has obviously learned to balance your life and to budget your time. He is indeed an excellent student and a valuable member of the community. A new tab has been added to the website. It is the Members Profile Tab. 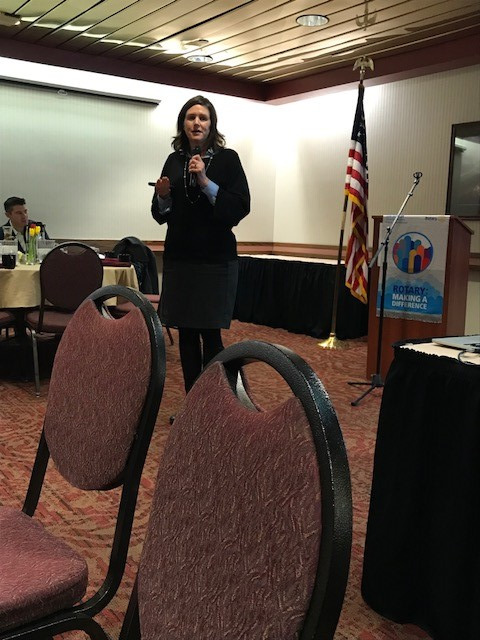 The idea is to get members to submit information about themselves, their families, their interest in Rotary, the community. By sharing this information, new members and long time members will get to know each other better. 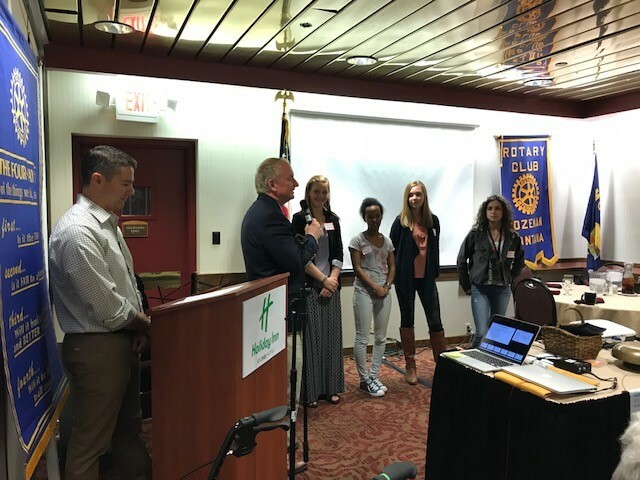 The Board of the Bozman Noon Rotary Club has agreed to fund an additional $1000 to the Aid for Uganda Fund. 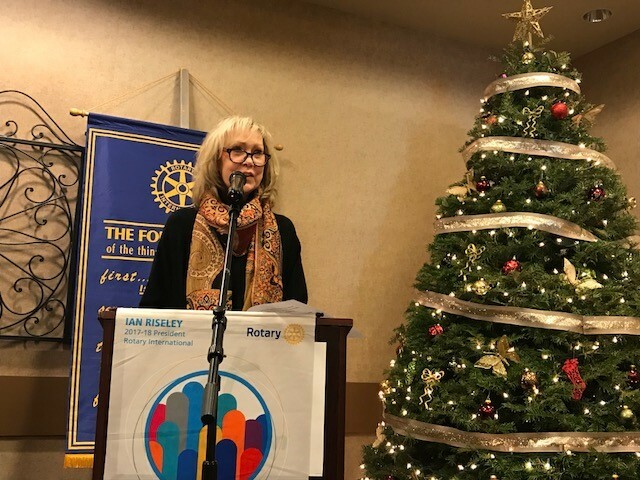 Additional funds will be needed which will be matched by Rotary International and the remainder of District Donated Funds. 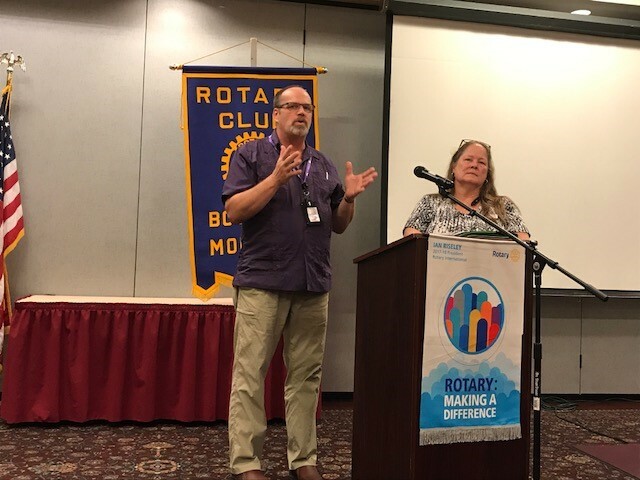 Just a few weeks after I conducted the side session on "water" at the District Conference in Big Sky, I returned to Honduras for more water work. I attended the Rotary Club of Danli evening meeting where I met with the president of the Danli, Honduras Rotary Club, Mr Jose' Espinal. 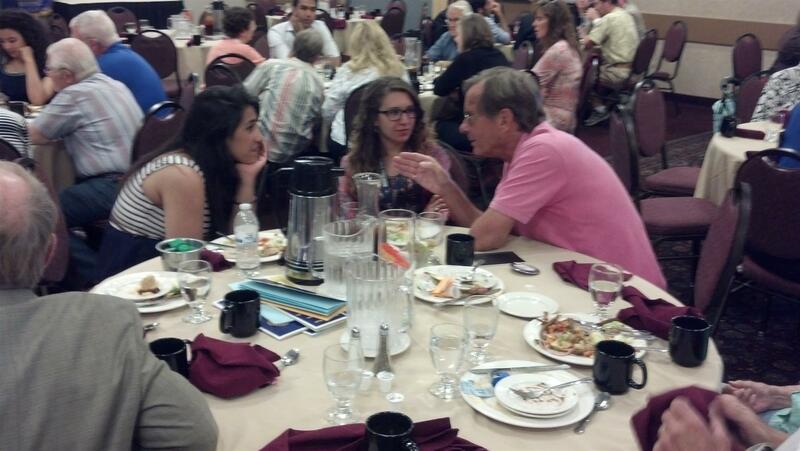 We discussed the possibility of doing another community sand filtration system and they were very supportive. 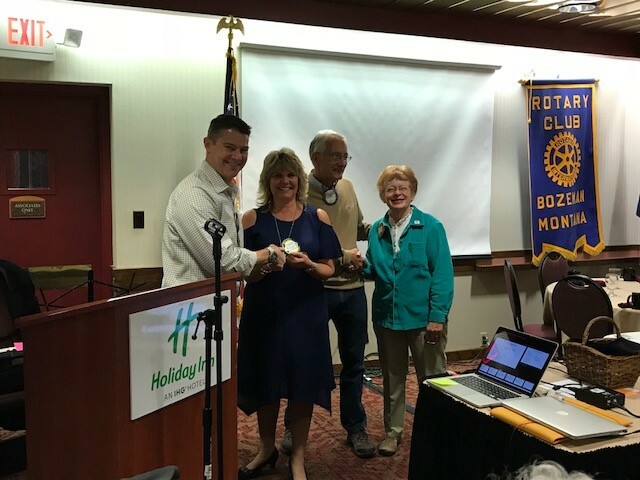 On Tuesday(9/18/07) the Bozeman Noon Rotary Board of Directors voted to give money ($2500.00 and potentially another $2500.00) toward the next Honduras community water filtration system in the Danli, Honduras area. 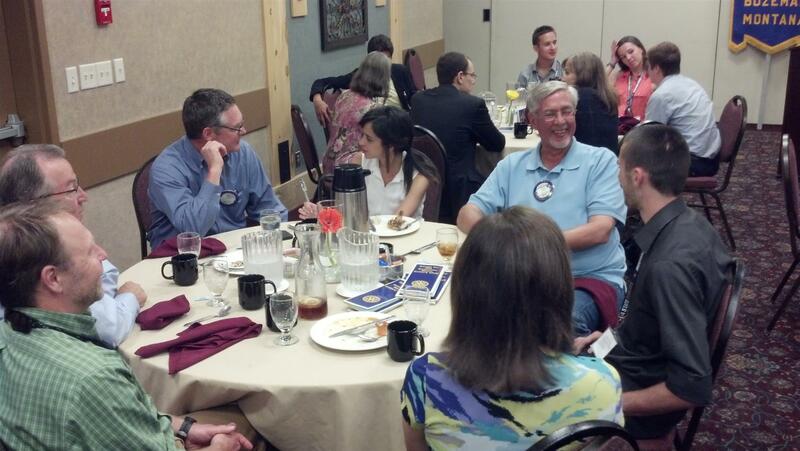 There are several other verbal commitments for money from other Rotary Clubs in Montana. 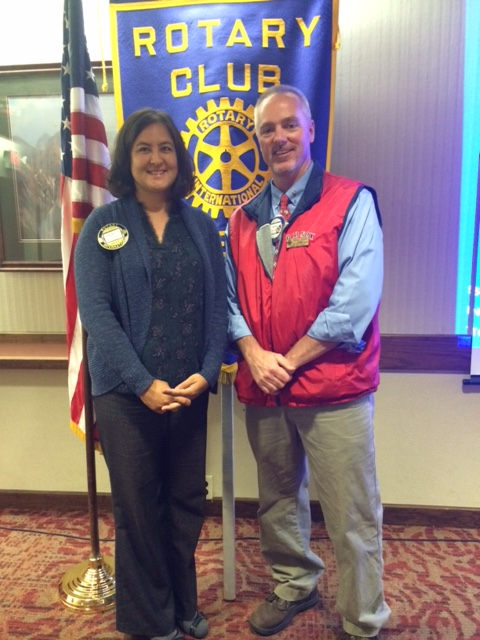 Pictured here is Darrel Choate (Bozeman Noon Club) with Jose' Espinal (President Danli, Honduras Club). 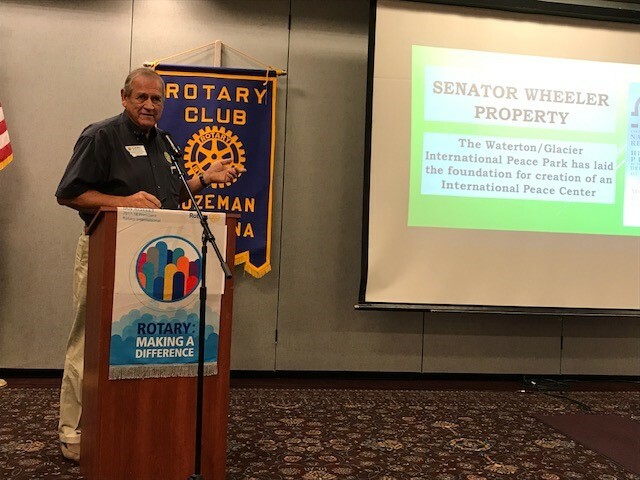 The District Assembly will be held in White Sulphur Springs on October 12 & 13. Registration cost is only $20.00 per person and includes pizza Friday evening and breakfast and a light lunch on Saturday. On-line registration and payment is now open or you can use the mail-in form. PLEASE NOTE: Registration will not be complete until payment is received. The preliminary schedule is also available. The details will be filled in as they become available. 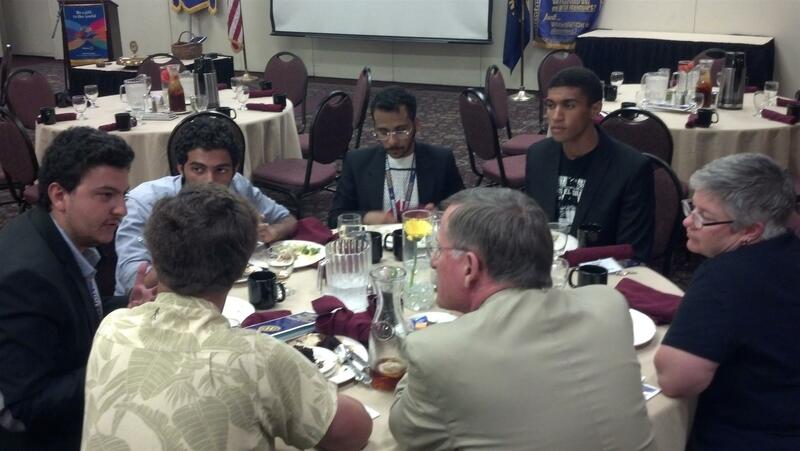 Go to montanarotary.org to register and view the agenda. 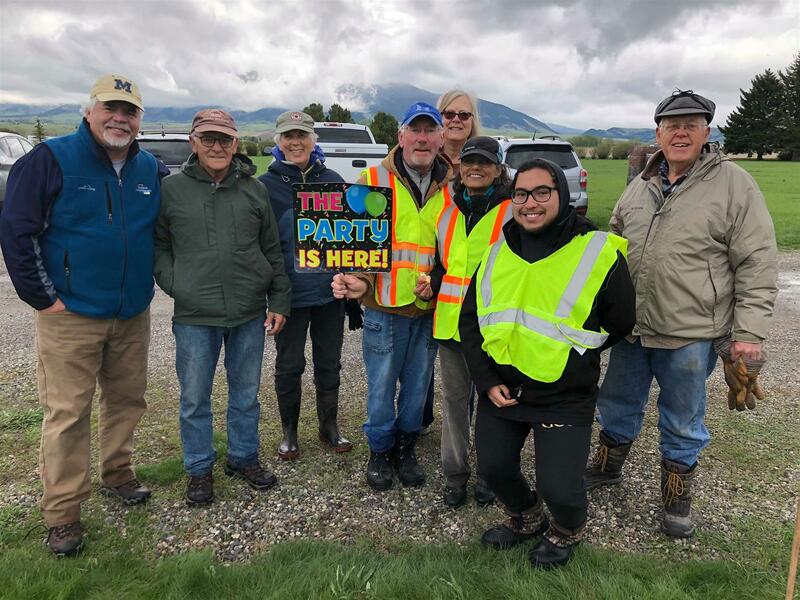 For the sixteenth year, the Bozeman Rotary Clubs will sell envelopes at $7.50 each, and then ride them over Bozeman Pass on October 13 to meet the Livingston Rotary Club for a horseback picnic. 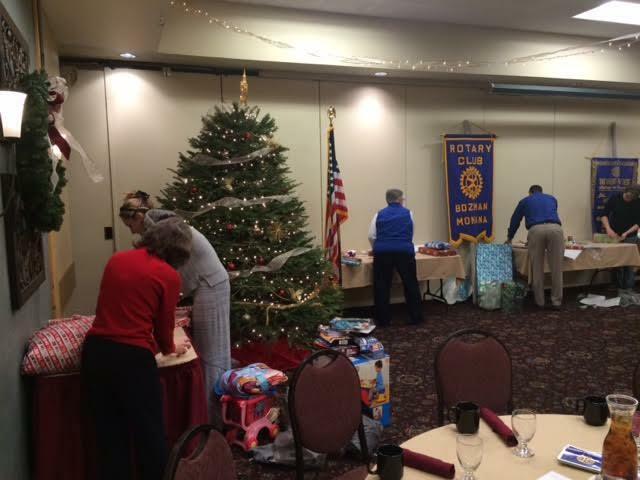 At the Pass the clubs will exchange mail bags so the mail will have been delivered by Rotary Express. 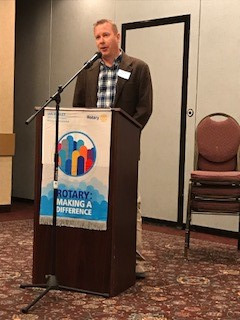 President Todd welcomes the Honorable Governor Brian Sweitzer to our Bozeman Noon Rotary Club.